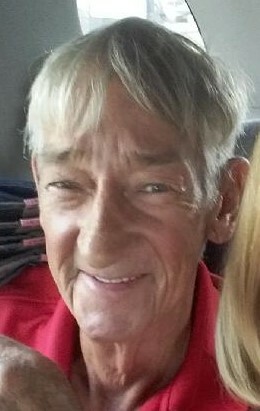 Mr. John David Austin, 70, of Walterboro, entered into rest Friday afternoon, February 8, 2019, at the Colleton Medical Center in Walterboro. Born September 8, 1948, in Charleston County, South Carolina, he was a son of the late Albert E. “Shorty” Austin and the late Audrey Mae “Foxy” Bunch Austin. He retired after forty years of dedicated service to Coburg Dairy in Walterboro and was a member of the Church of God of Prophecy. He served our country faithfully in the United States Army and will always be remembered for his love of fishing and especially for the love he possessed for his entire family. Surviving are: his wife, of forty-eight years, Mrs. Lizzie Johnson Austin; two daughters, Karen Denise Austin and Krystal Austin Logan (Jaquis) both of Walterboro; and three siblings, Riley Austin, Ann Iriel, and Cindy George (Ray), all of Walterboro. There are six grandchildren, Stephanie, Paris, Darrell, Caine, Lexi, and Kash; one great grandchild, Kareyah and Zoey who is expected in the near future. He was preceded in death by a sister, Diane Austin Bazzle. In lieu of flowers, the family has requested that memorial contributions be directed in his memory to: American Cancer Society, 5900 Core Road, Suite 504, North Charleston, South Carolina 29406. The family will receive friends during a time of visitation prior to the funeral ceremony beginning at 11:30am that morning at THE BRICE W. HERNDON AND SONS FUNERAL HOMES AND CREMATORY, WALTERBORO CHAPEL, 1193 Bells Highway, Walterboro, 843.538.5408. Visit the registry online at: www.briceherndonfuneralhome.com.